The Chicago Young Professional Council started two years ago with one goal in mind: to champion and support clean water projects in their community. They made progress towards that goal with their second annual grant awards. The Chicago Young Professional Council selected two organizations to receive grants in 2018: Dunes Learning Center and The Little Village Environmental Justice Organization (LVEJO). The council awarded grants to organizations with projects that benefit the lakes and engage their communities. 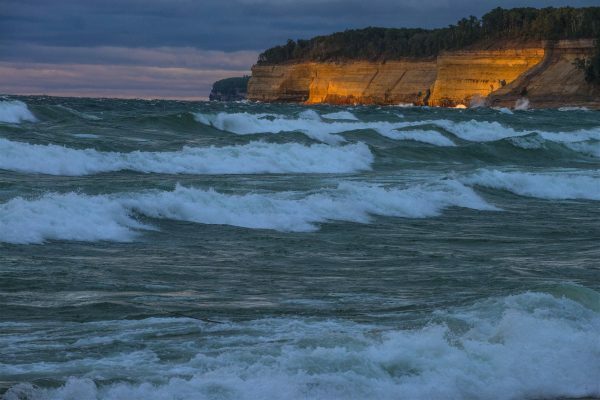 “Dunes Learning Center and LVEJO represent the connection between community and Lake Michigan that the Young Professional Council seeks to foster. We are proud to fund these organizations and look forward to being involved with their programs,” said Chad Kruse, Chicago Young Professional Council co-chair. The Dunes Learning Center is committed to educating and engaging future environmentalists. Based in the scenic Indiana Dunes National Lakeshore, they are perfectly situated to provide a hands-on, immersive learning experience to nearly 12,000 students every year. Photo by Dunes Learning Center, captioned: We had a surprise visitor today while doing a garden program with students from St. Paul Lutheran. We love opportunities where we can expose students to snakes and teach them that snakes are awesome, not scary! The Center will use the Chicago Young Professional Council grant to support student participation in the Calumet is My Backyard (CIMBY) project. CIMBY is a joint project between Chicago Public Schools and the Chicago Field Museum. The project equips and motivates low-income high school students from northwest Indiana and south Chicago to become the next generation of environmental leaders and professionals. Through stewardship activities, CIMBY students tackle ecological restoration within their own communities. 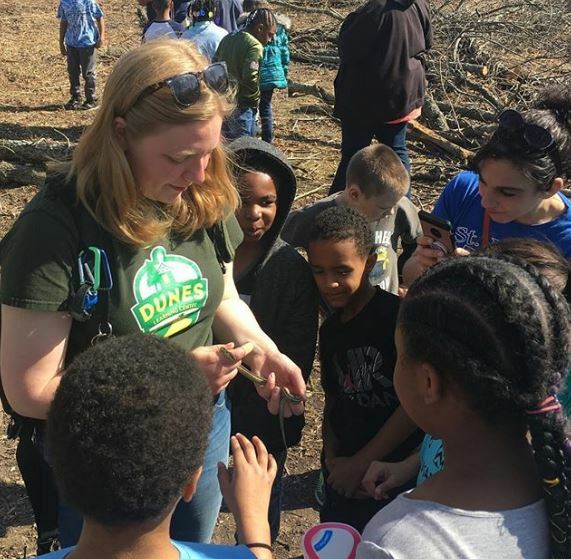 The Chicago Young Professional Council grant will allow the Dunes Learning Center to provide camperships — camp scholarships — to students nominated by their teachers. The Little Village Environmental Justice Organization (LVEJO) is an environmental justice organization located in Chicago’s Little Village neighborhood, five miles southwest of downtown Chicago. LVEJO will use the funds granted to them by the Chicago Young Professional Council to take on the problem of lead in drinking water in their “Agua Mi Vida: Water for Life” project. LVEJO will team up with JustDesign to distribute lead-rated water filters to Chicago residents, specifically targeting children at an elevated risk of lead poisoning. The grant will also allow them to host three clean water workshops and town hall meetings focusing on clean drinking water and health. The meetings will offer free lead filters, water quality testing, installation help, and education sessions on lead in water risks and mitigating residential exposure. The Chicago Young Professional Council is thrilled about this year’s grantees and excited to help make their projects successful. Be sure to stay tuned to hear more about the grantees and their projects. This work is made possible by Alliance donors! Donate to the Chicago Young Professional Council today to support other clean water projects like these.